Broken or lost BMW Keys Sutton, Beeches Auto Locksmiths replace BMW keys wherever you are in Sutton, Surrey or South London. If you replace your lost BMW key through a BMW dealer it can be expensive. Broken BMW keys are our speciality. If you are looking for a mobile auto locksmith for a lost or broken BMW key in Sutton call us out. CALL 07947 665205 for an immediate response! If you have a new key because your BMW key was broken or lost then you may need to reprogram it. This guide will take you through the process or programming your key to match your BMW car. If you follow the straightforward steps then your BMW key will be ready to use in a few minutes! Works if your are inside your BMW with the car doors closed. Rotate the ignition key to the 1st position then back to “off” in less than 5 seconds. Take the key out of the ignition and then press the “unlock” button for 15 seconds. Whilst you are doing this push the “Key Lock” button 3 times in 5 seconds. Take your fingers off both buttons. All the doors will lock and then unlock. This means your new BMW key fob is correctly programmed. Get inside your car and close the doors. Use the working key to turn on the ignition, then turn off immediately. This should take no longer than 5 seconds. The next step must occur within 30 seconds. Raise the key up to your left ear, it’s nearer the receiver then. You must then push down the “unlock button” and push down the “lock button” 3 times. Take your finger off the “unlock button” and then the doors will lock to confirm the process has worked. At once take the second key and hold it up to your left ear. You must then push down the “unlock button” and push down the “lock button” 3 times. Take your finger off the “unlock button” and then the doors will lock to confirm the process has worked. If the process is unsuccessful, then do the keys in the opposite order. Rotate the key to position 1 five times very quickly then remove the key. Press down the “unlock button” and then push the “lock button” 3 times, let go of the unlock button. If there is a second key then repeat the process within 30 seconds. Switch on the ignition to finish the procedure. *These procedures are purely there to program the remote control within BWM key itself. 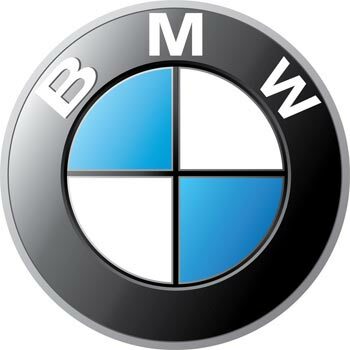 If you require a transponder chip that will work with the immobiliser (getting the car started) then you will need the assistance of a specialist BMW Auto Locksmith for lost, broken or damaged keys Sutton!